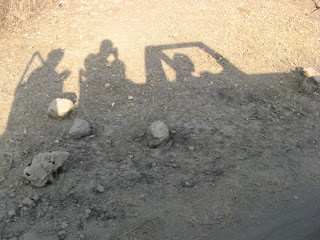 The above photographs were clicked at Gir Lions Sanctuary. READ somewhere that Greece saw its last lion shortly after the birth of Christ. Most of the countries in the world have no presence of lions. Apart from Africa the only place where Asiatic lions, a regal subspecies, can be spotted is in the Gir forest in Gujarat (India). IT was not planned nor was it there on the itinerary of my visit to Gujarat last week. It just happened. My passion to witness the Asiatic lions made me maneuver my work time and sneak into the Sasan Gir Forest Reserve – the only place, outside Africa, where lions can be still seen in full flesh and ferocity. It was created in 1913 and accorded the sanctuary status in 1965. Before taking the 8-hour-long drive to Gir – I was told that it was not easy to actually witness the royal animal due to the fact that they are in small number spread over a large area; a 300 of them spread over 1000 sq kms area. As you stroll into their natural habitat, it takes no time at all to realize why lions have come to stand for royalty and greatness. A tiger will slink through the forest unseen, but a lion stands its ground, curious and unafraid—lionhearted. 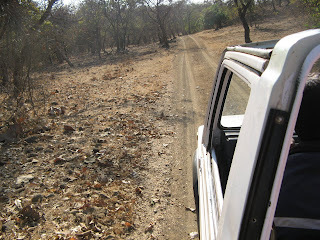 It takes hours and sometimes days around the dry forest and bumpy roads to track lions. 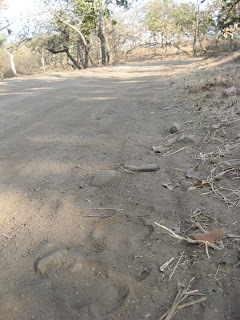 I was lucky as it took me only 2 hours to see two big Asiatic lions walking majestically on the muddy track leaving behind pugmarks denoting that they control the expanse. 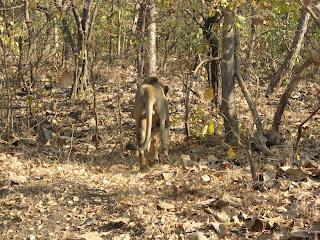 One of the forest guards told me that the lions were least bothered about the presence of humans near them. They just live royally unmindful of whoever is in the vicinity. The lion trackers follow these epic animals wielding a wooden stick in their hands – their job is to ensure that they are physically fine. It was a breathtaking moment when I finally got close to a pride of Asiatic lions. 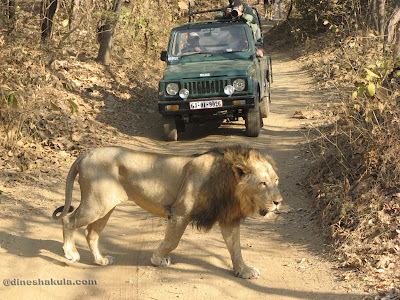 Fear didn't grip me even for a moment when the big cat straddled gracefully; just a couple of feet away from me. A thrilling moment, indeed! I chided myself for not being equipped with a professional camera to capture that never to be relived moment of my life. I managed to click few photos with a small digital camera and was happy with one particular frame when the Asiatic lion was crossing the road. I have got to thank my friend – Kalpak Kekre – channel head of TV9 Gujarat, for facilitating such a fulfilling experience. 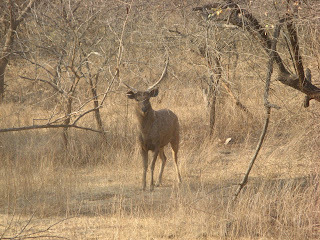 He took off time to accompany me to Gir. 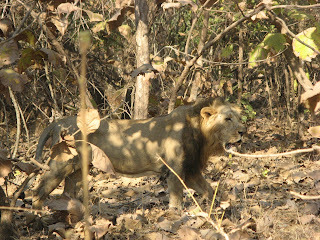 Kalpak informed me that the Gir lions would most likely have disappeared by now, were it not for the Nawab of Junagadh. At the turn of the 20th century the Nawab saved the lions by declaring that any one wanted to hunt the lion in Gir required the royal license. It was not an entirely selfless effort. In order for him to continue to kill a few lions for sport, he needed to save many. Thanks to his 'license raj' there are about 300 lions still alive today in and around the Gir Forest, treating the eyes of many a curious eye. LONDON, 2007. I stayed at Bakers Street for sometime couple of years back. I heard ample of time about the bad weather in this part of the world. True! Come summer and it was raining. I wondered does it ever snow in the capital of Britain. 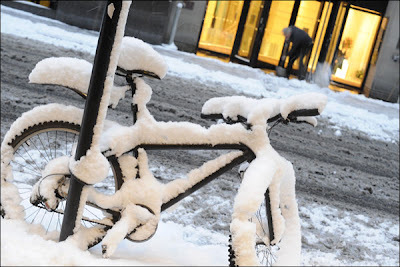 I was told most of Londoners have had never seen snow on the London streets since long, long and long time indeed. And if I had the fascination for snow then London was not the place to be. But I stayed. Completed my work. And left with a bit of disappointment of seeing all weathers except the white coloured flakes on the streets and on the rooftops and on the trees. And now when I am not there “SNOW” is smiling …...ooops it’s laughing all over the place. 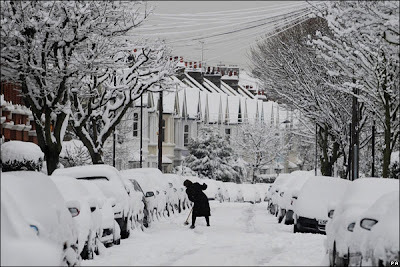 Londoners are witnessing heaviest snowfall in 20 years, which they never ever dreamt off. Tubes are jammed, buses are not plying and my friends called me to inform they are not going to office and having all the fun in this WHTE WEATHER. HO! SNOW you cheated me. I am missing you. Covered by the snowflakes, Not a blade is seen. Every twig is laden - What a pretty sight!